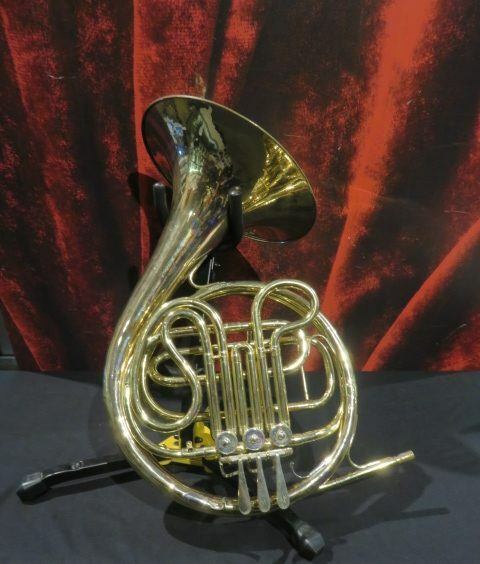 Single French Horn is ideal for the beginning student searching for a quality instrument at an affordable price. 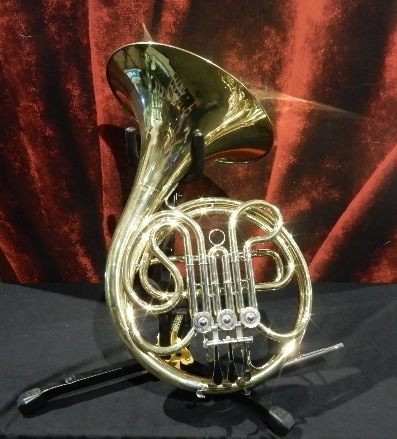 This instrument is in excellent playing condition and comes with the original case and mouthpiece. 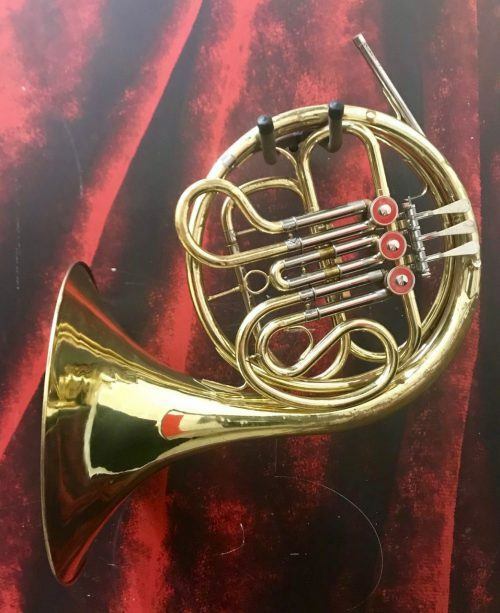 The brace to the mouthpiece receiver appears to be re-soldered but otherwise no damage to the body. 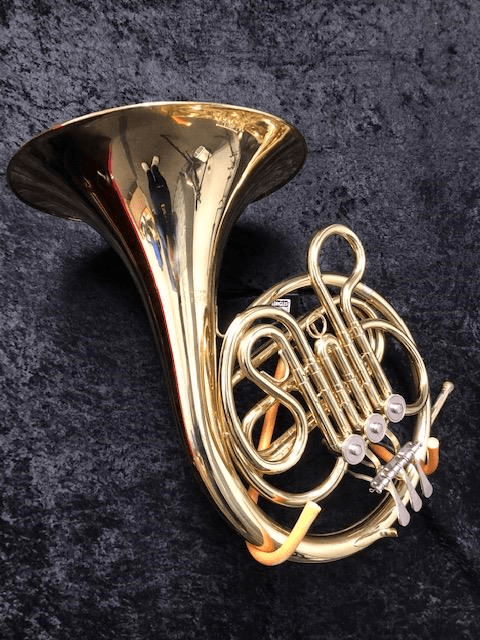 This Conn 14D is a great choice for a beginning student. 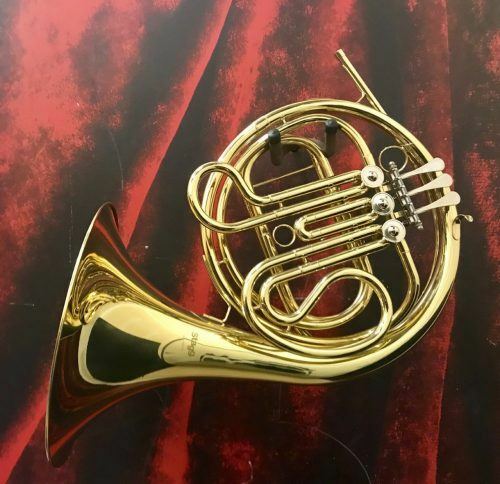 Horn has 100% original lacquer and all the slides & rotors have been checked by our technician. 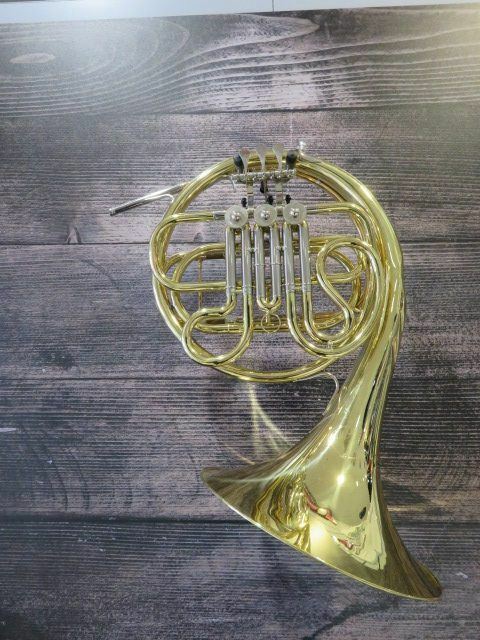 The original hard shell case comes included and will protect it when your kid takes it to school or on a performance. 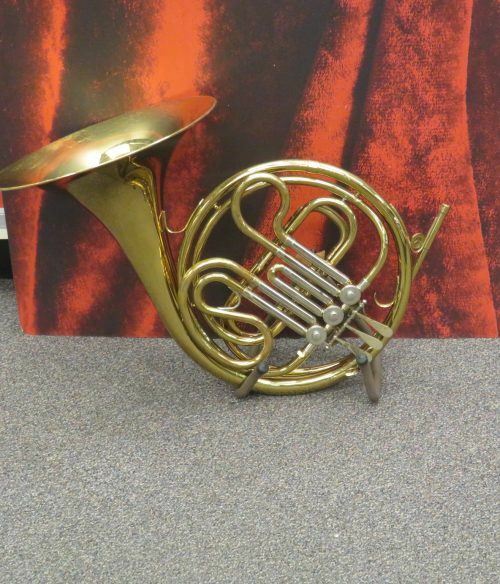 This Yamaha YHR-302M Marching French Horn in B-flat is in near mint condition. 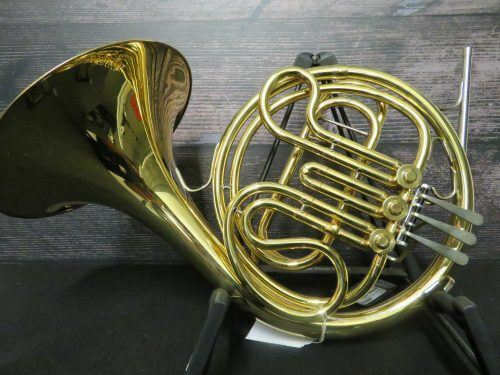 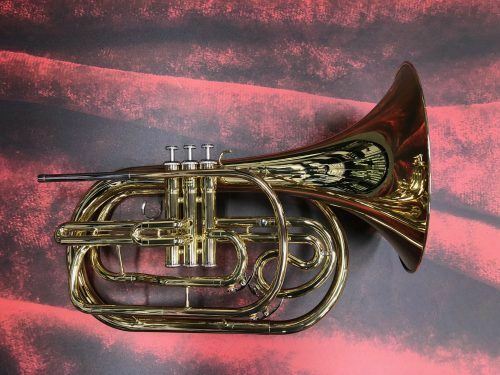 A perfect choice for any marching french horn player, this horn comes with the original hard shell case and mouthpiece.